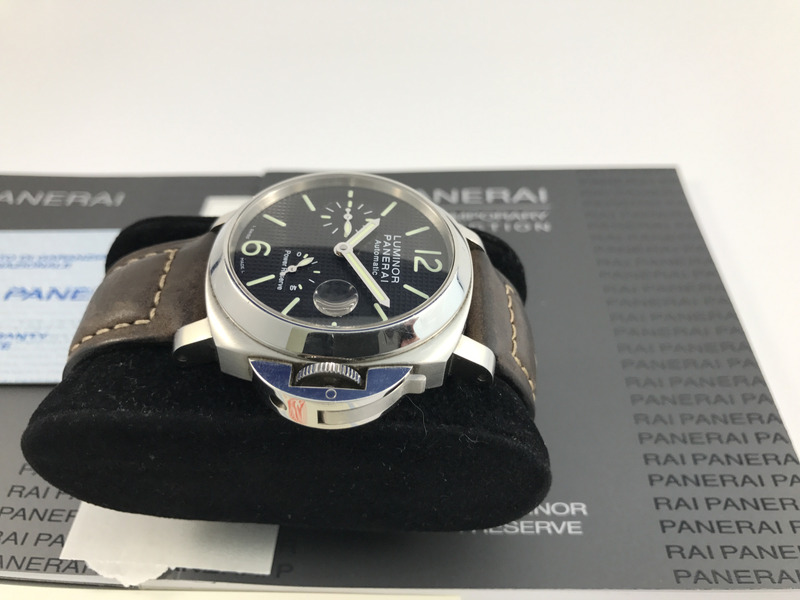 This is a Panerai PAM 241 with power reserve indicator and a date. It's a rare dial treatment called the hobnail. Limited to 800 units. 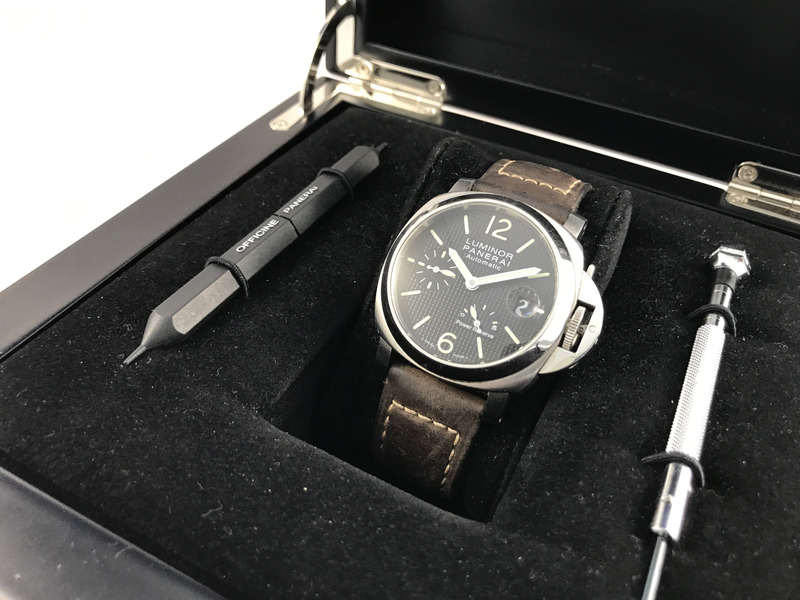 Automatic movement, Genuine Panerai Alligator strap with Panerai deployment buckle.